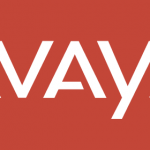 Follow the steps below to both clear and reset your Avaya 5610SW IP Phone. Maybe you need to clear the IP address or change the extension of the phone. Applies to 5610SW, 5621SW. A reset is like a soft reset. It wipes out the IP address, extension number, speed-dial, call logs, etc. Press the * key when your phone is booting up to program it. Press the # key to confirm the reset. A clear is like a hard reset. It also removes the settings such as language, FTP, etc.